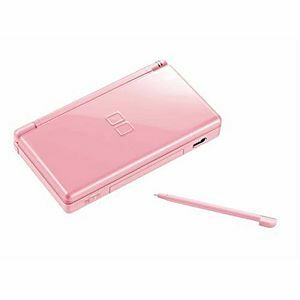 Coral Pink DS Lite System in GREAT condition! The system has been tested and is guaranteed to work! Bought this for my birthday. It shipped on time and came with all the advirtised parts. And it works like new! Highly recommend Lukiegames! Systems came well packed and with a bunch of stuff (chargers and styli). Still working til this day! Thanks Lukie. 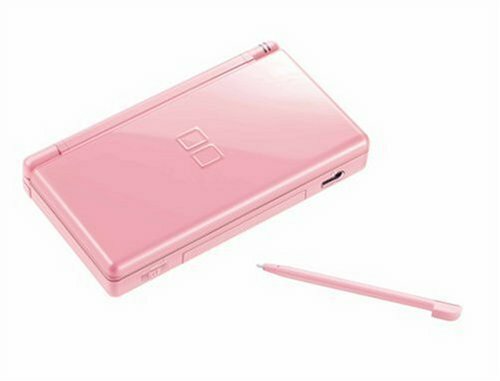 Believe it or not, I purchased this for my 74 y/o mother for this upcoming Mother's Day because she likes a particular game that I found only on Nintendo DS. My husband tried it out to be sure it was working and it worked like a charm. I was impressed on how clean and brand new looking it was. I am pleased with this product and I would recommend it to another.